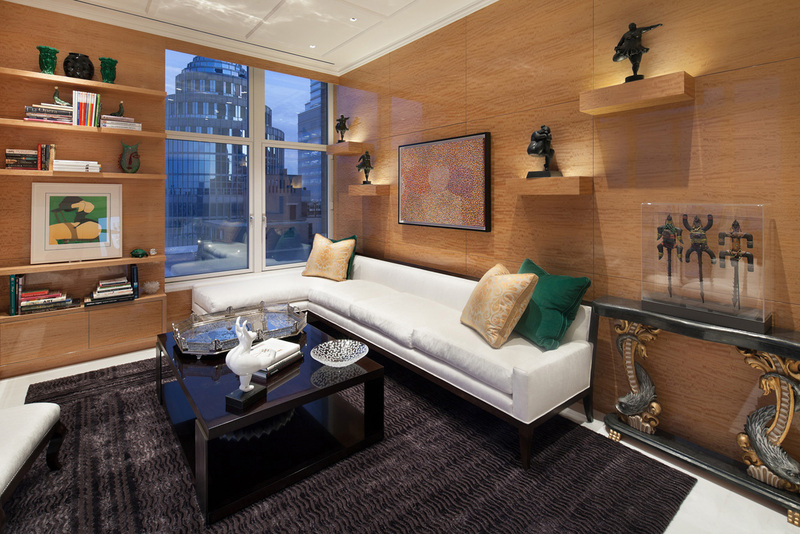 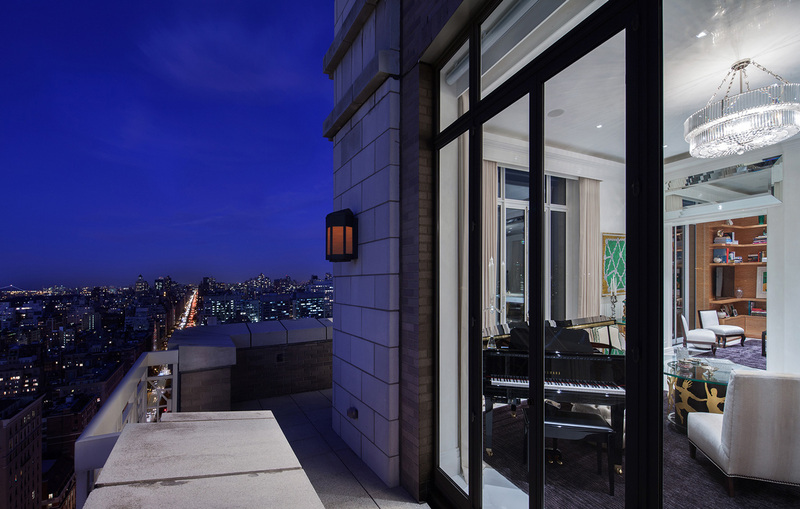 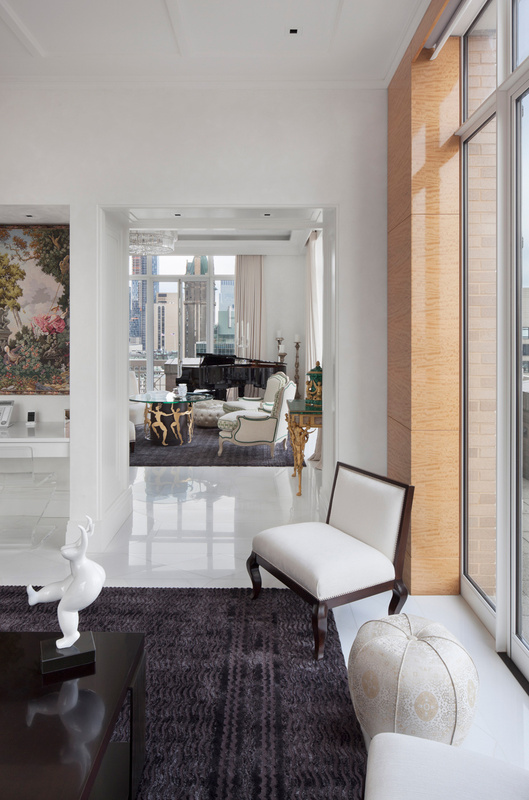 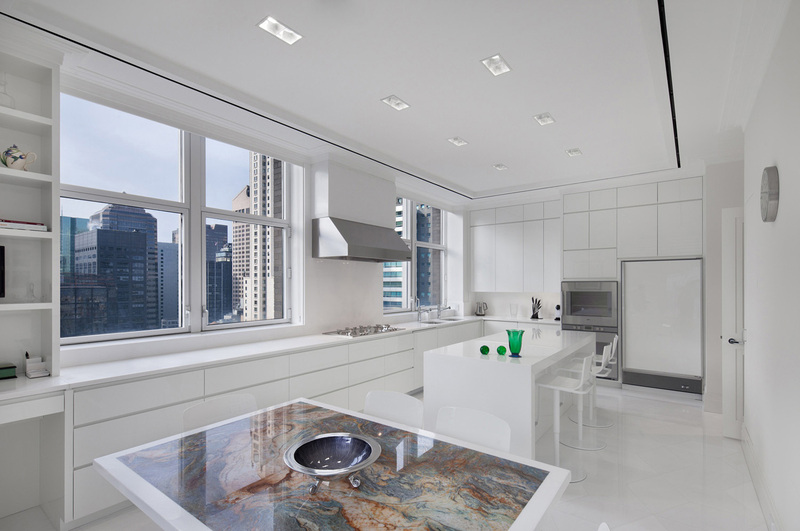 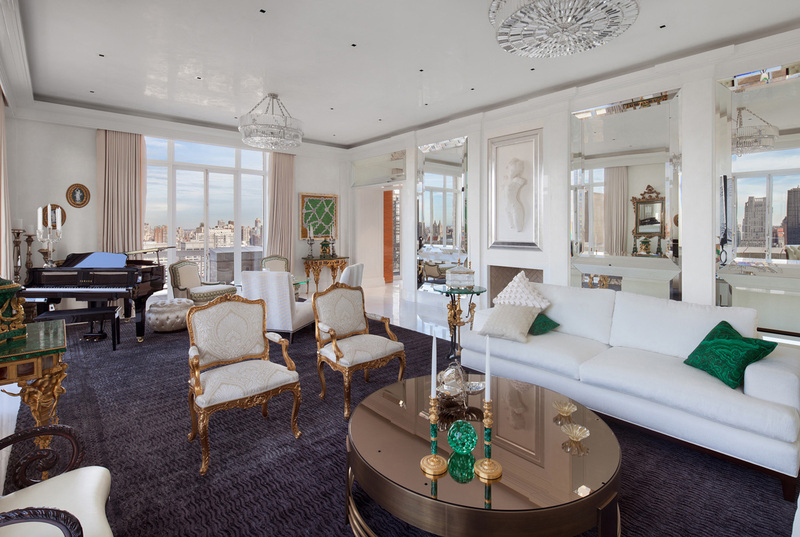 A complete build-out of a 5,000 square foot 4-bedroom duplex along Park Avenue overlooking New York City’s Central Park. 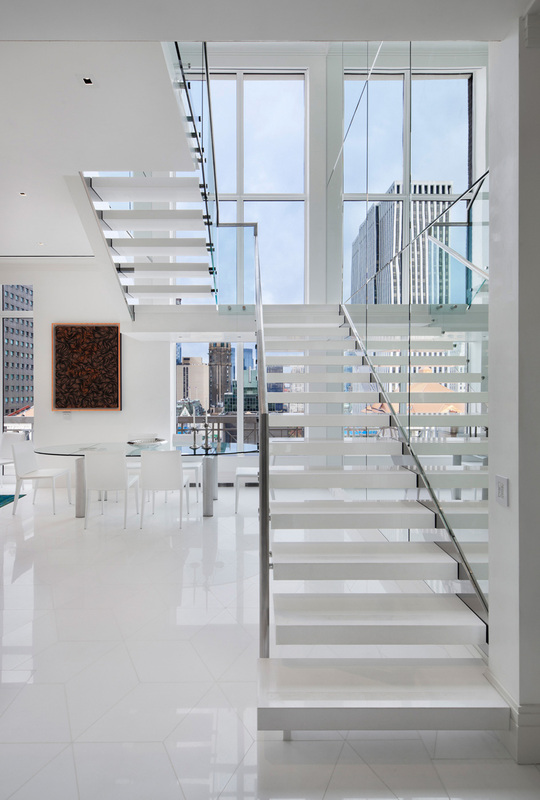 The challenge was to design a custom floating stone stair that maintained open balcony views to the city. 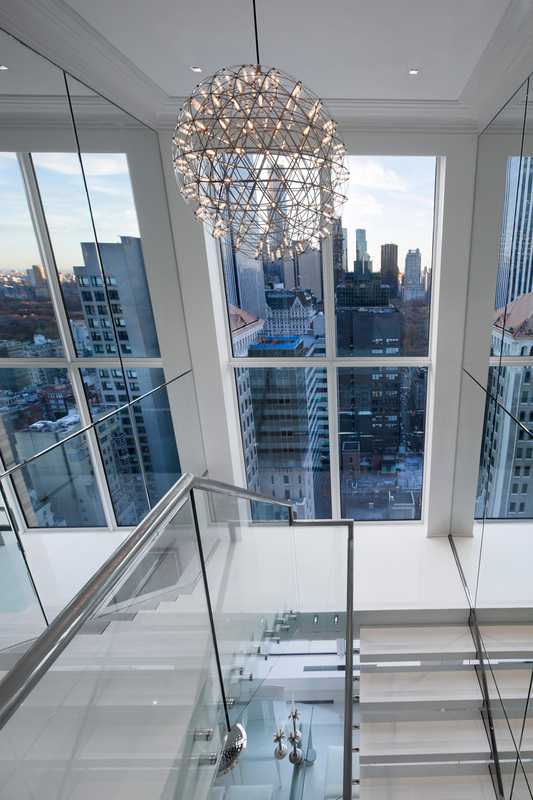 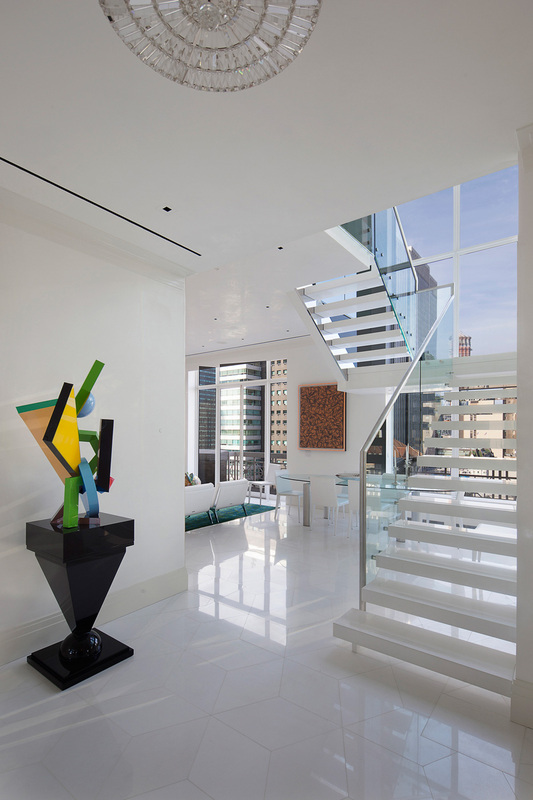 With the stair as a main focal point, the two stories of floor-to-ceiling mirrors reflect the cityscape along Park Avenue. 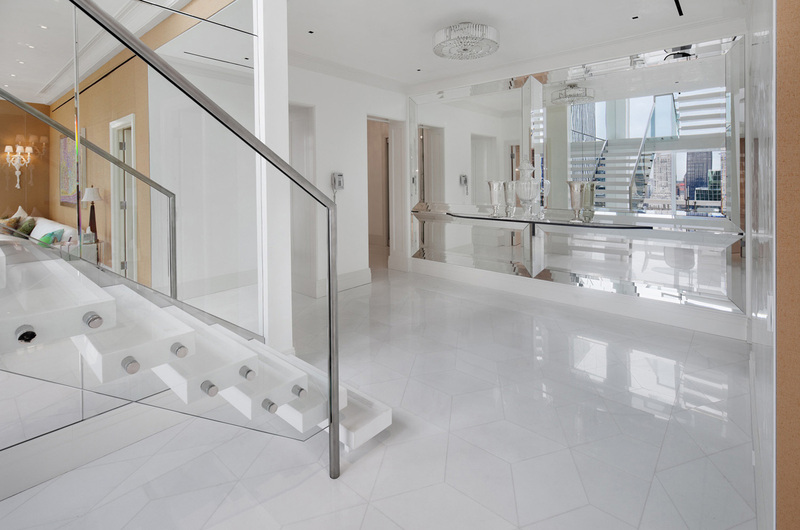 Each tread extends off the wall as a single structural element and is wrapped on all sides with thassos stone to create the experience of a single slab step. 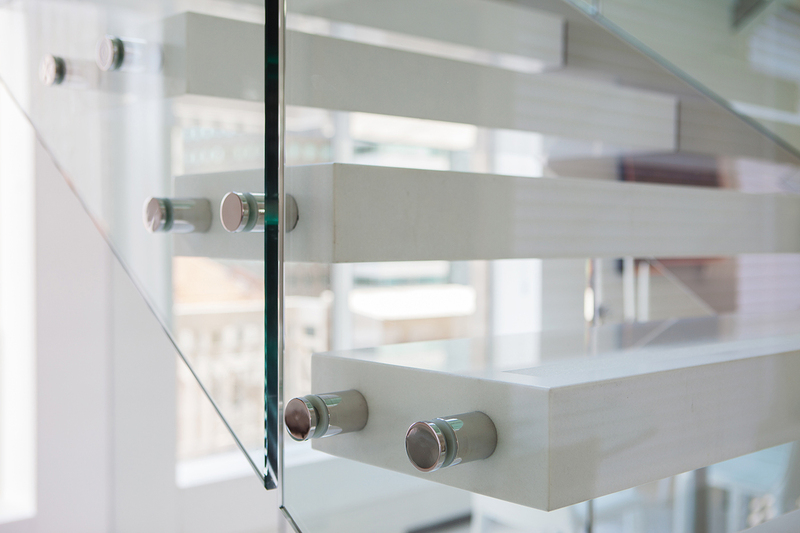 The glass railing and polished chrome standoffs provides a means to tie the entire stair together. 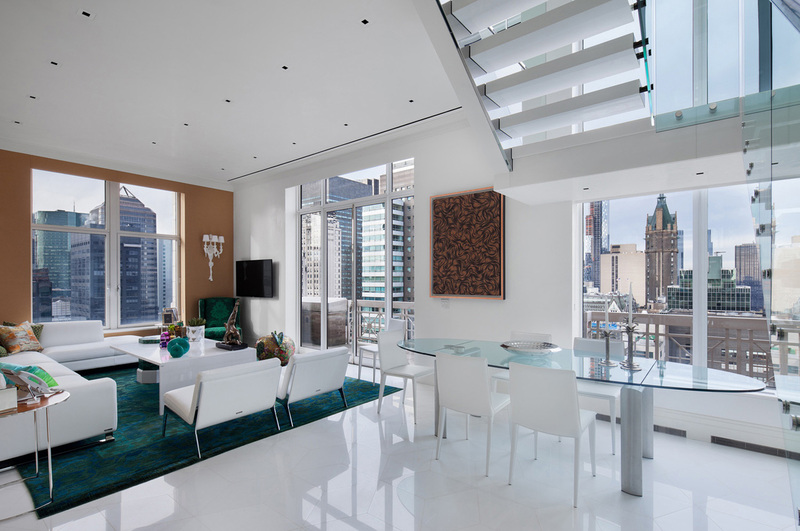 New powder coated floor-to-ceiling metal windows help to open the main floor and extend views out to the balcony. 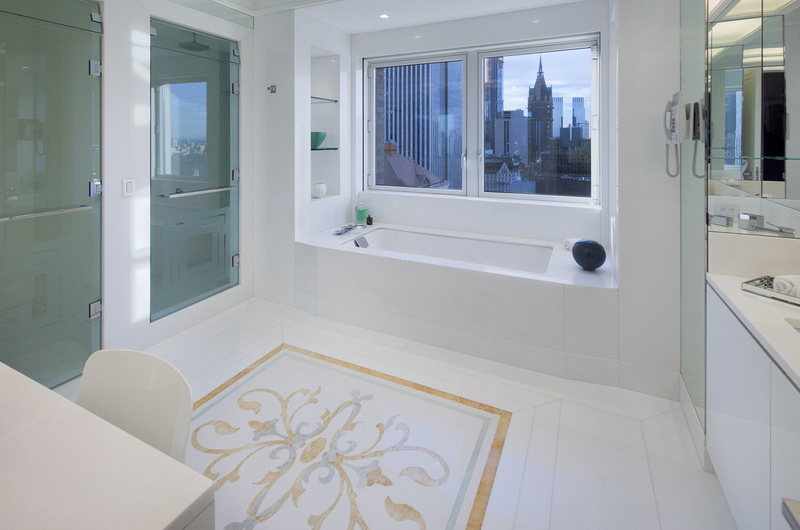 Custom pattern thassos stone flooring with integrated heated floors seamlessly connect all the rooms on the main floor while the décor is allowed to accentuate the space. 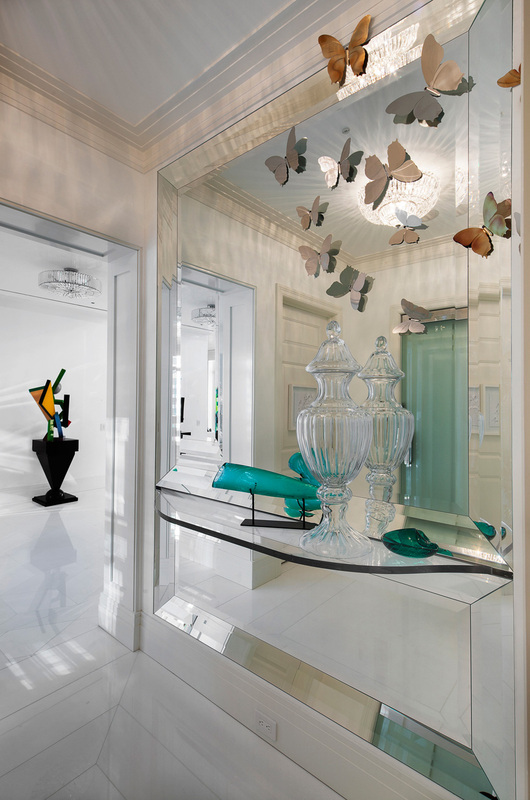 High polished laminated millwork was designed throughout along with custom moldings, beveled mirrors and bathrooms made of seamless floor to ceiling Corian.